No- or low- interest payment plans through CareCredit or Lending Club. We will assist you in applying for this convenient payment option. Estimated co-payment at each visit to those patients with dental insurance, following benefit verification. Please be aware that we cannot guarantee this estimate and that there may be a balance after insurance pays. We gladly accept Visa, MasterCard, American Express, and Discover cards. We are happy to process any to most primary insurance claims as a service to you at no charge. Please keep in mind that any estimate that we provide to you is only an estimate and that you are responsible for all fees in their entirety. Your insurance plan is based upon a contract between your employer and the insurance company. 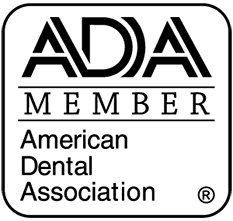 Any dollar amount a plan reimburses for dental services is determined by how much your employer has paid for the plan. We will submit all dental insurance forms to help achieve the maximum benefits that you are entitled. Dental insurance is not designed to pay for your complete dental care. Many routine services are not covered. Dental insurance companies do not normally cover 100% of any dental fee and, in many cases, cover less than 50% or sometimes make no payment. The “small print” written in the plan reveals the truth about actual percentages, which can be less than expected. Please be aware that certain carriers may not allow you to assign your benefits to our office. If this is a policy of your insurance company, we ask that you pay for your dental services in full when services are rendered. We will always process your insurance claims for your reimbursement. You are fortunate to have dental insurance that may assist you with the cost of treatment! 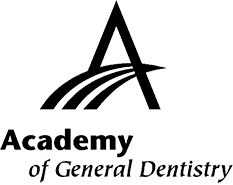 Our goal is to help you achieve and maintain optimal dental care. We value all of our patients and any question you may have is important to us, feel free to ask! Copyright © 2019 Brookwood Dentistry. All rights reserved.